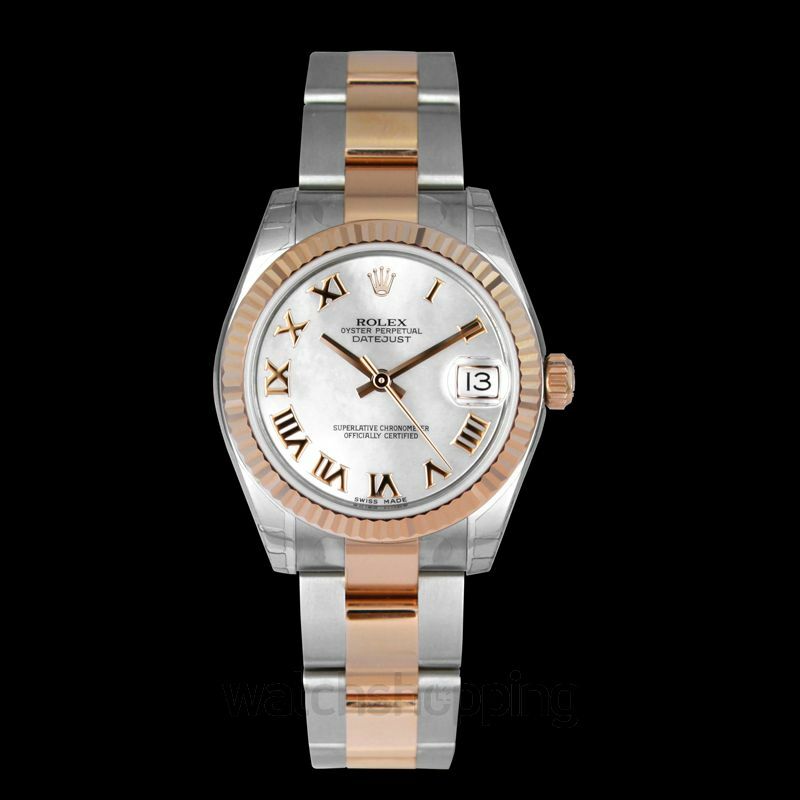 Enjoy the classic Rolex design, fitted with the three-piece oyster link bracelet, as well as oyster clasp with this watch. 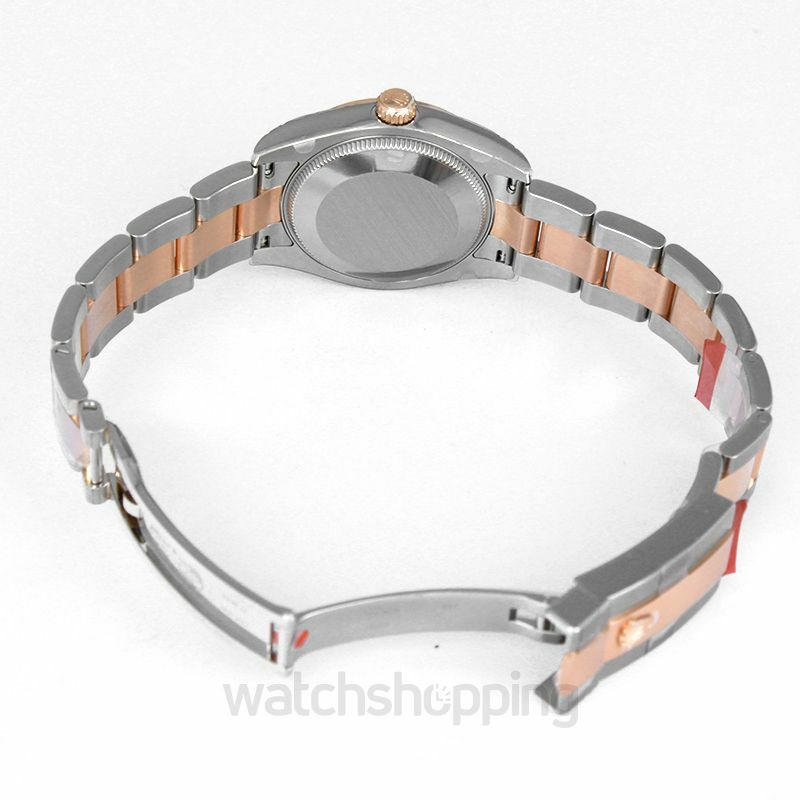 It is the most comfortable watch ever to wear in daily routine, without feeling the weight on your wrist. 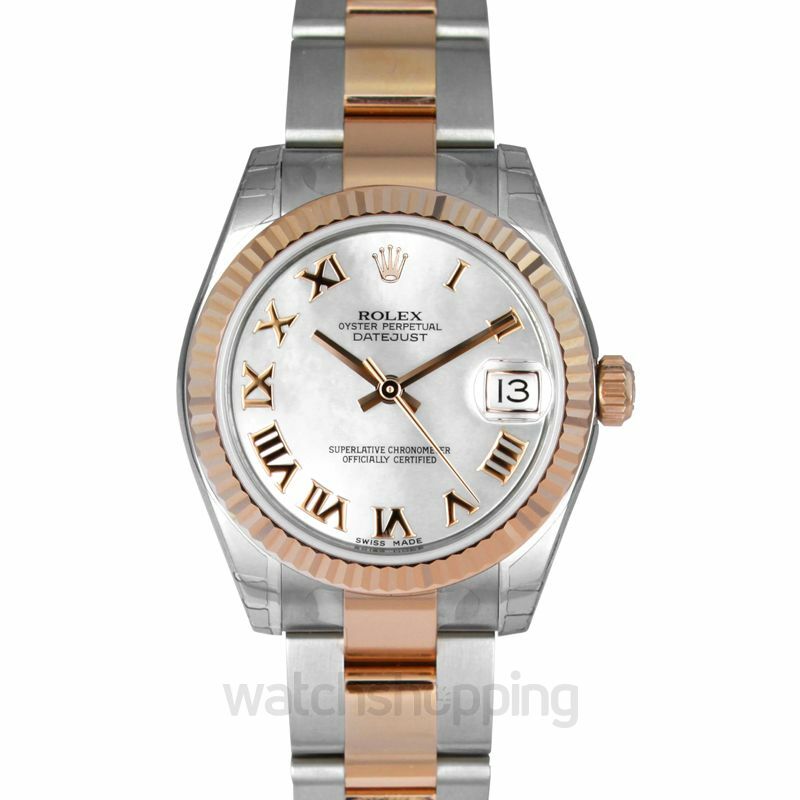 The gold-toned hands against the white dial look very elegant, combined with the gold-toned, Roman numerals as well. The watch has a prominent date option, set at the 3 o’clock position with cyclops lens for easy viewing. 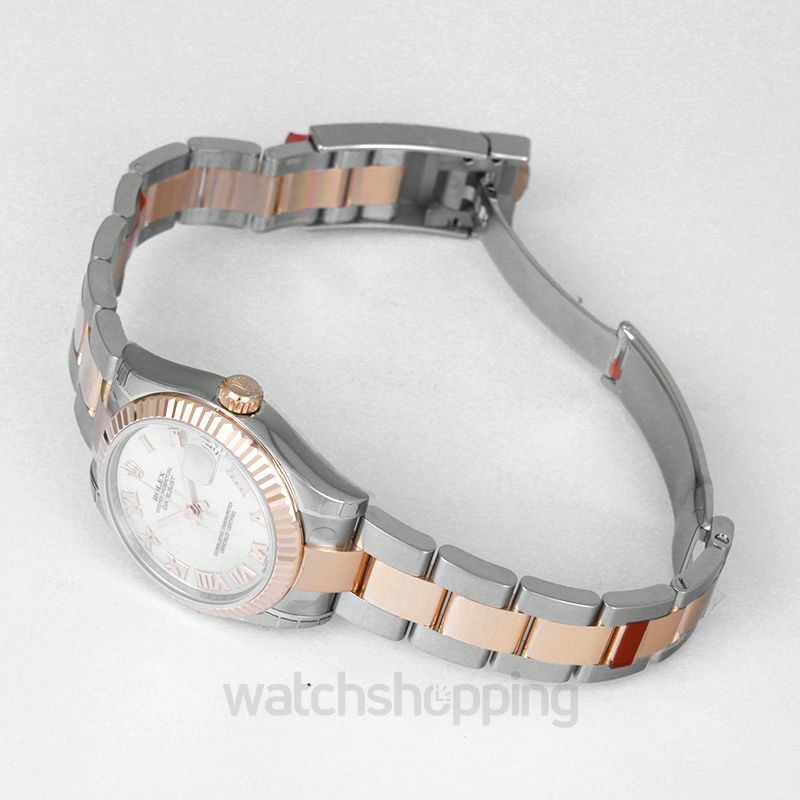 Plus, rose gold finishing as well as rose gold fluted bezel makes the watch most luxurious.